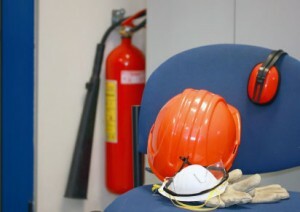 Workforce Safety Training has been approved to offer MEDIC First Aid Training in many industries including oil, electronics, power, telecommunications, forestry, government, hotel and hospitality, and entertainment. MEDIC™ First Aid programs conform to national standards and are based on the same scientific guidelines and treatment recommendations used by the American Heart Association (AHA) and American Red Cross (ARC) for course development. Additionally, they are a worldwide leader in CPR/AED and first aid emergency care training programs for business, industry, and the public. Their training programs have been used to teach and certify emergency care and first aid providers in business, general industry, and the public since 1978. MEDIC™ First Aid training programs are nationally approved and are recognized endorsed or accepted by many state regulatory agencies. Additionally, MEDIC™ First Aid programs have been found acceptable for meeting the requirements established by a wide variety of accreditation organizations, professional associations, and councils. MEDIC™ First Aid programs are accepted as equivalent to the AHA and ARC by many state regulatory authorities, the Department of Homeland Security United States Coast Guard, and others. 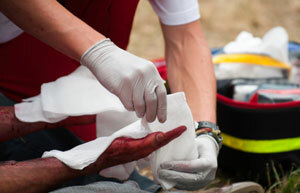 MEDIC First Aid is consistent with OSHA’s best practices for first aid training programs. MEDIC™ First Aid emergency care programs require hands-on performance of basic first aid and CPR skills evaluated by an authorized instructor. 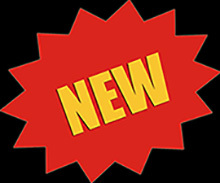 Specifically designed to help businesses comply with workplace first aid requirements, the instructional design of MEDIC™ First Aid training programs uses a video-based, instructor-facilitated, systematic approach that helps to ensure consistent training whether used at one worksite or over multiple locations. Training materials include award-winning DVDs featuring realistic scenarios filmed in occupational settings to keep learners interested and training relevant. Classroom, online, and blended learning elements, print and digital student handbooks with skill guides are designed to help Instructors facilitate knowledge and skill in a consistent, positive, and stable learning environment that builds confidence and supports retention.